The enhanced Motion CL920 features a brighter screen with 180 degree viewing angles, View Anywhere® technology, 10-finger touch / pen input, exterior programmable volume buttons and 16% weight reduction (1.85 lbs). Reduce downtime and increase productivity overnight. Our sleek new CL920 Rugged Platform is a giant leap forward in our CL-Series with faster processing power, enhanced connectivity, increased durability and superior image capture software. With support for both Windows® 7 and Windows® 8.1 applications the CL920 is ready to stand by your side now and in the future. The CL920 withstands the rigors of a tough workday – dust proof and shock-proof for uninterrupted reliability - rain or shine. Built around an internal magnesium frame and fortified with Corning® Gorilla® Glass 3 the tablet features a new signature Motion dot-pattern design for a ruggedized, non-slip surface texture. As a mobile professional, speed is your ally. 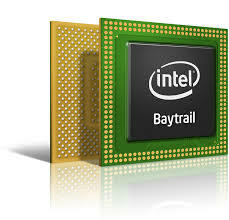 With the latest Intel Pentium quad core processor, the new CL920 Tablet is 69% faster than our previous model. Combine that with 4G LTE for rapid connectivity and the CL920 gets work done in a flash. Direction Informatique "Une nouvelle tablette numérique chez Motion Computing"
The Motion CL920 incorporates the Intel® Pentium® Processor N3540 (2.16 GHz) and provides the ideal balance between power and battery consumption. As a result, the CL920 can run multiple enterprise applications, as well as deliver crisp, colorful HD video and graphics – all while providing up to eight hours of battery life. And Motion’s industry-leading charging technology provides a work-to-charge ratio that ensures rapid charging for reduced downtime. The CL920 small form factor Tablet PC is designed for the challenging conditions highly mobile workers face every day. Built around an internal magnesium frame for structural rigidity, the CL920 is MIL-STD-810G and IP52 rated for durability and ingress protection. Highly sealed with a chemical resistant chassis, the CL920 is approved to use with a long list of cleaners and disinfectants. The CL920 Tablet PC display is as tough as it is brilliant. Equipped with Corning® Gorilla® Glass 3, the resilient display material is renowned for its strength (providing up to four times breakage resistance versus non-strengthened displays). 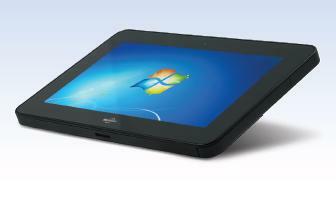 The CL920 is a 10-inch durable tablet that enables both 10-finger touch and stylus input. The bonded display with View Anywhere® Display technology provides superior view ability with 180 degree viewing angles and 33% greater brightness with richer color, more contrast and lowered power consumption. Mobile users can’t afford to be disconnected. That’s why the CL920 offers a range of reliable wireless connectivity options based on user workflow needs. With the CL920, users can connect in the way that best suits their needs, from integrated Bluetooth™ 4.0 to Dual Band 802.11 Wireless-AC LAN to 4G LTE embedded mobile broadband technology. The CL-Series SlateMate™ with Magstripe Reader and Barcode Scanner transforms the CL920 into a mobile point of sale (MPOS) and data acquisition tool. Securely integrated into the internal frame of the CL920, the SlateMate offers extendibility, durability and productivity in a small, lightweight device. Running Microsoft® Windows® 7 Pro or Windows® 8.1 Pro, the CL-Series SlateMate allows rapid deployment and protects your retail operation’s existing back-office infrastructure investments.